With its fine edges, crisp corners and slim, tapering profiles, Concept Air breathes an uplifting sense of lightness into any space. Concept Air is the epitome of gossamer fineness. Our ever-popular Concept range was developed by award-winning designer Robin Levien and his acclaimed team. By building on the intrinsic design DNA of Concept, they’ve taken a classic to the next level – creating the refined evolution we call Concept Air. performance and contemporary statement styling. elegance of the CONCEPT AIR collection. each makes a decisively individual design statement. 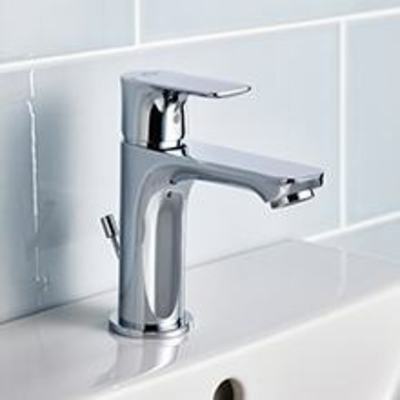 The increasingly popular double basin format is perfect for larger bathrooms. Our 124cm Double Vanity Basin loses none of Air’s characteristic elegance while offering added dimension of personal luxury. With its slim profile, thin rim and tapering form, the Concept Air Cube washbasin shows off the essence of the range’s design in all its purity. But its shallow profile conceals a luxurious internal depth. 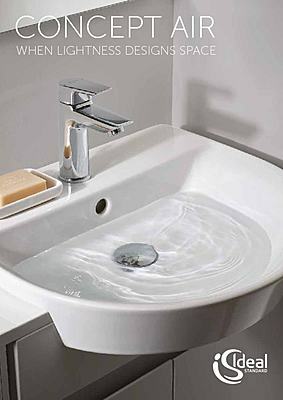 Cube basins can work with full and semi-pedestals and a range of dedicated cube units for all sizes. Cube is modern elegance personified. The unsupported overhanging bowl of the 50cm Semi-countertop Basin lends an additional sense of weightlessness to the overall effect. 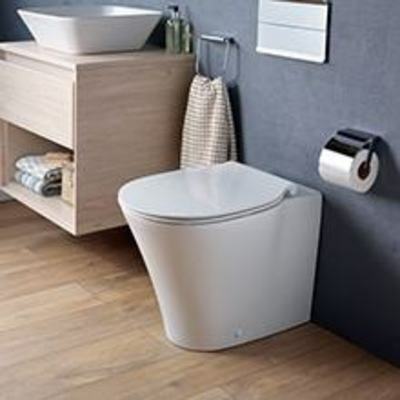 The Concept Air range features two close coupled WC options: fully back-to-wall or open backed. The choice is down to personal preference or it’s dictated by installation type. 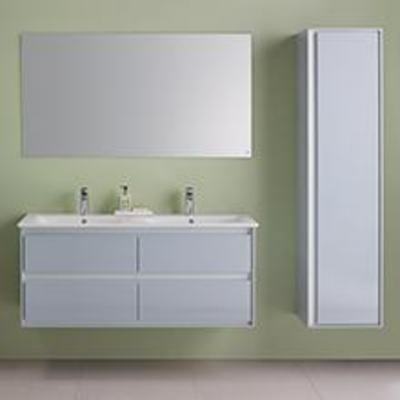 Concept Air's wall hung vanity units available with two soft closing drawers or one drawer with opening shelving for a minimal look. Flexibility is another of Air’s brilliant qualities. When choosing Concept Air furniture, you can specify open shelves or, to keep your space supremely calm, opt for spacious soft close drawers. Practical can be beautiful. 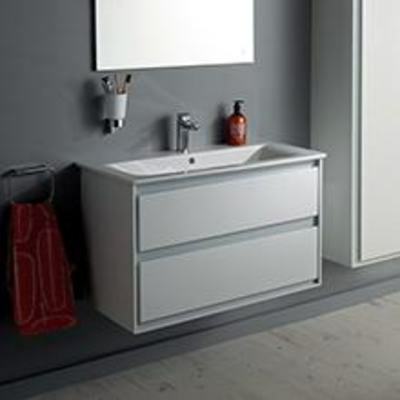 The floor standing units cleverly conceal plumbing as well as offering a practical storage space with an internal shelf for your cleaning products and toiletries. standing bath makes a stunning centre piece, and the large Vessel Basin is its perfect partner. range of furniture pieces, it’s simple to achieve your optimum storage situation. 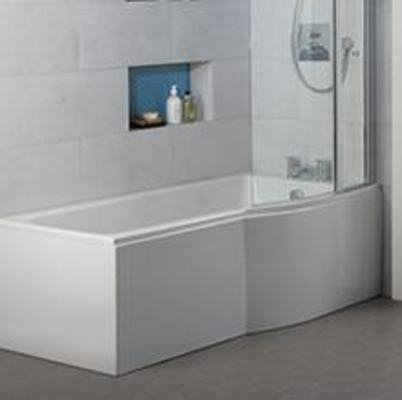 Concept Air offers a variation of bathing options wither its and option for showering in one of the shower-bath variation's or a whole different relaxation experience in the Concept Air Freestanding bath.